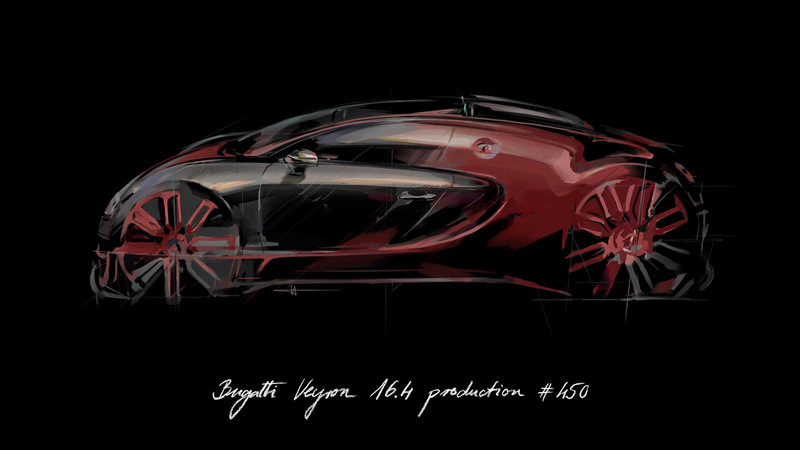 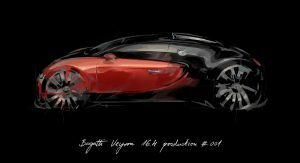 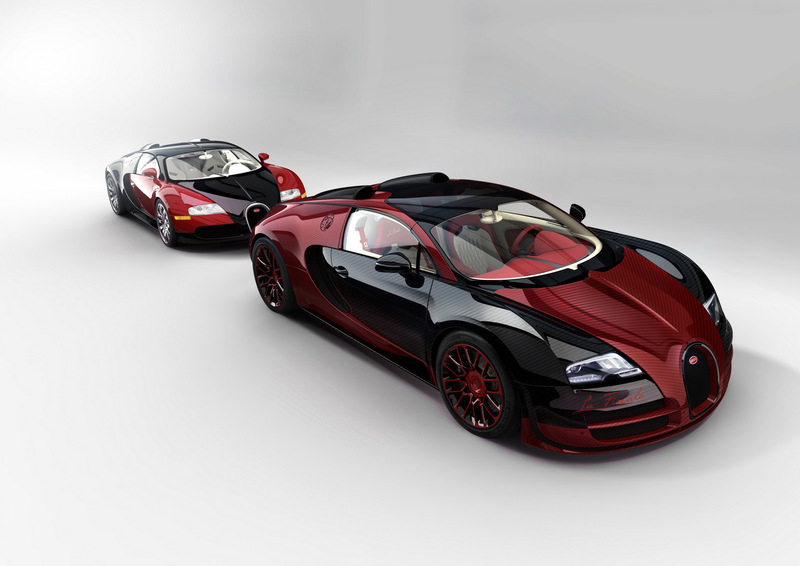 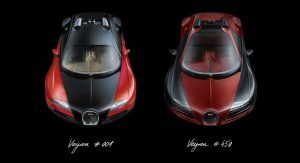 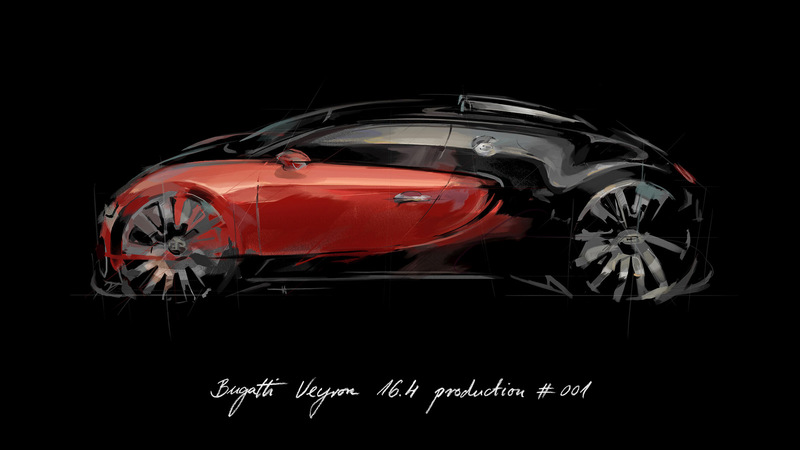 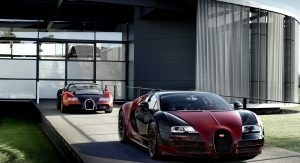 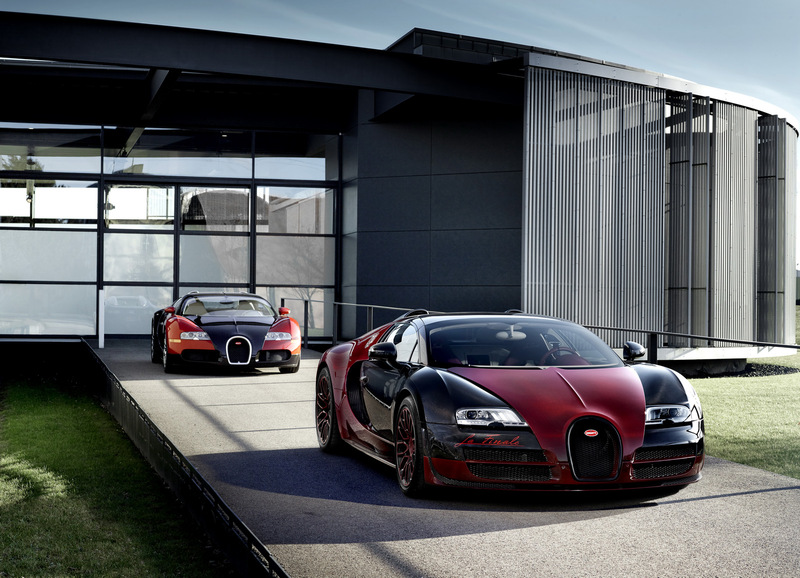 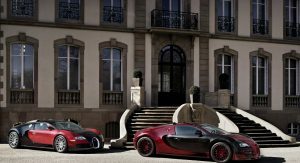 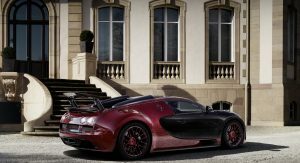 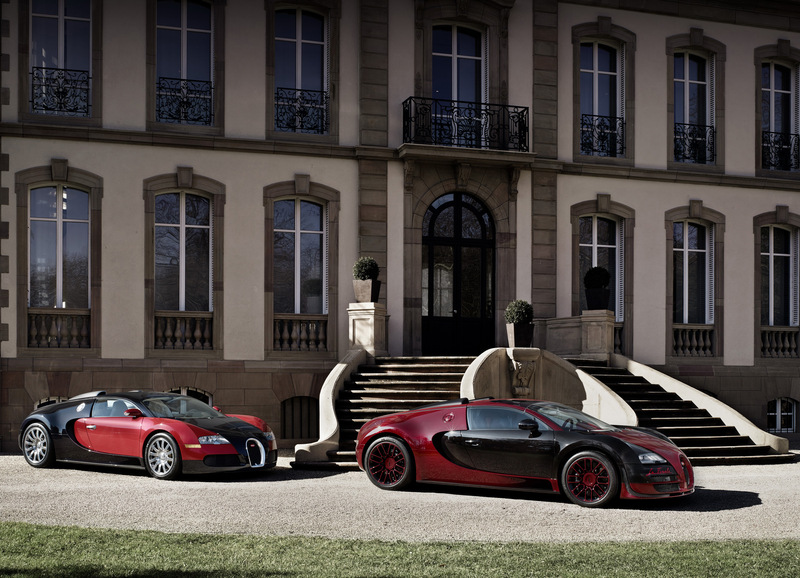 Bugatti has officially unveiled the 450th and final Veyron, the Grand Sport Vitesse “La Finale.” Showcased next to the first production Veyron, the 450th model is in fact a design homage to chassis number 1, with both cars featuring a black and red color scheme. 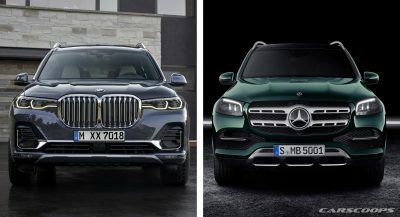 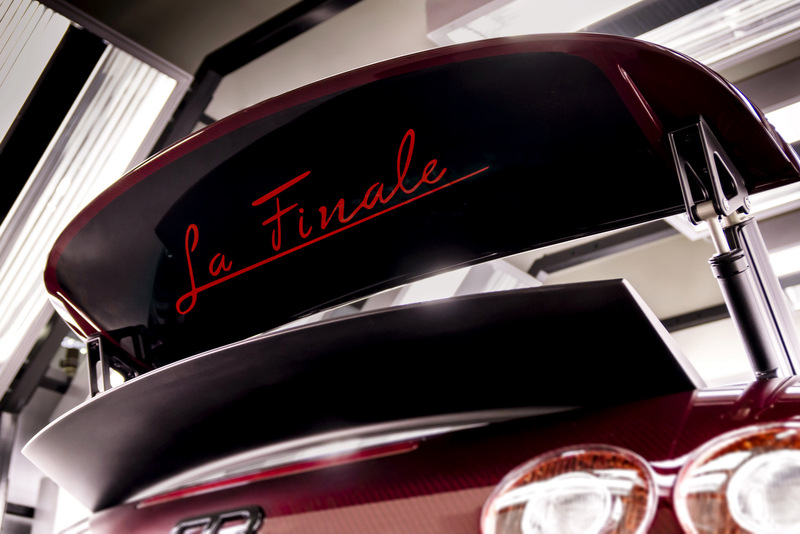 On the “La Finale,” the front wing panels, the doors and the areas between the doors and the side air intakes, known as “medallions” in French, are made from black exposed carbon fiber. 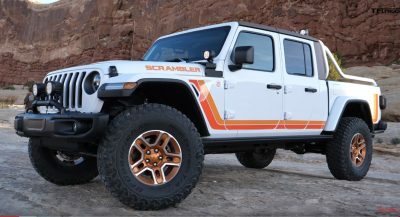 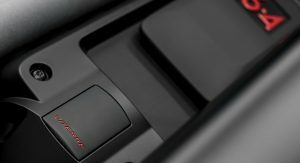 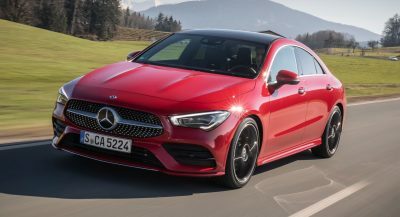 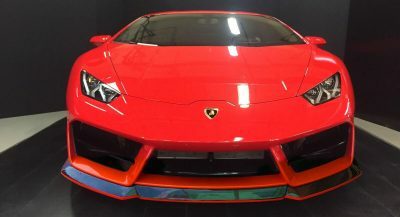 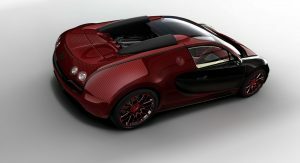 The other parts of the outer shell are made from red exposed carbon fiber, marking the first time this color has ever been used on a vehicle. 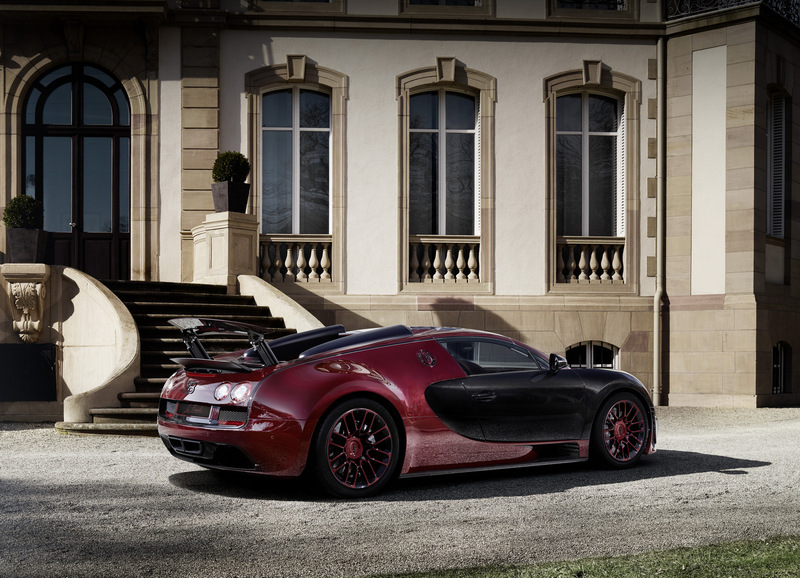 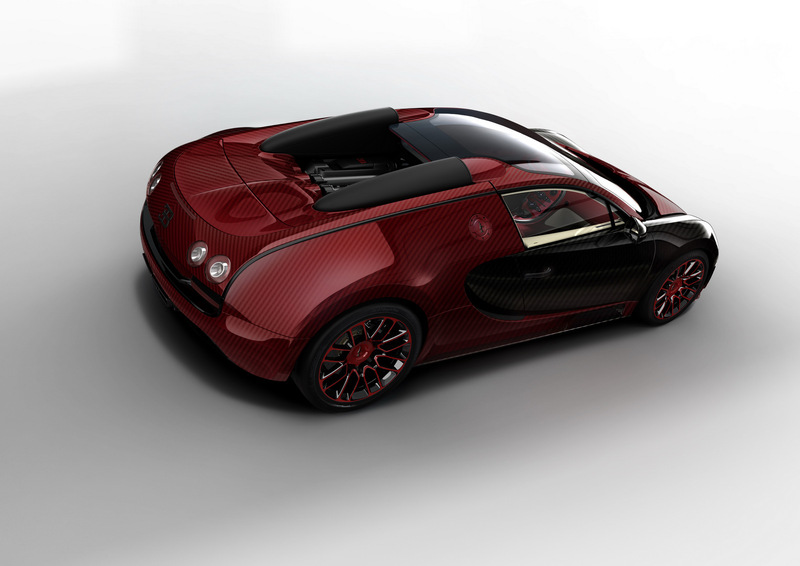 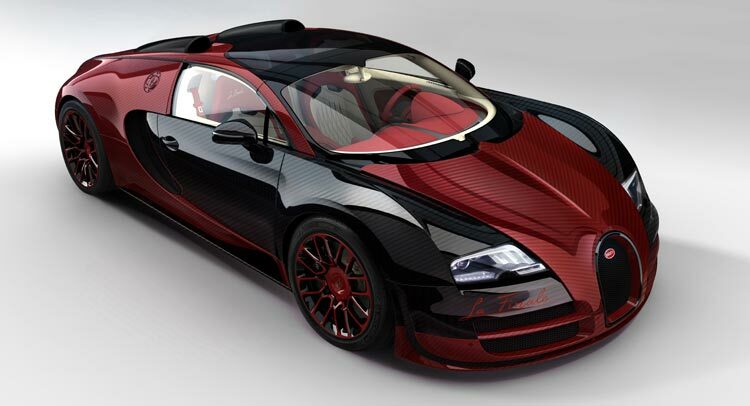 The new color is Bugatti’s eighth tint for exposed carbon fiber. 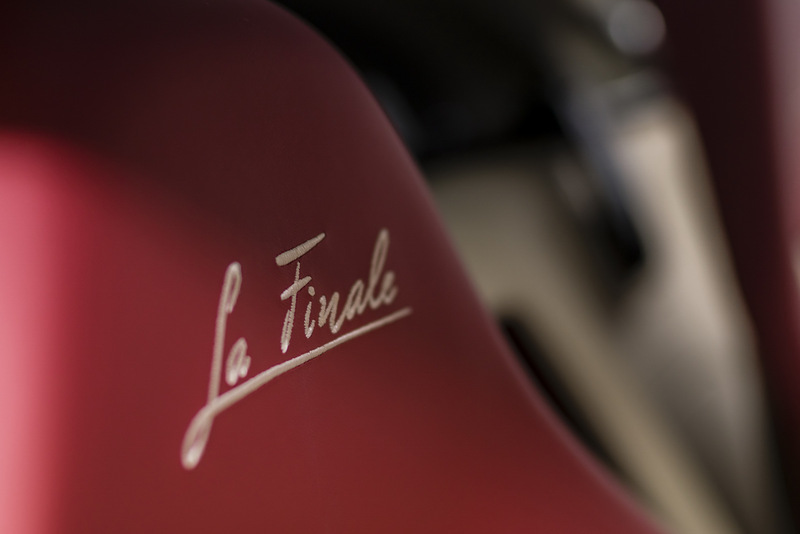 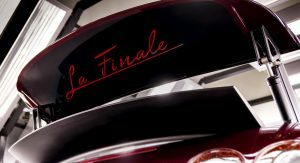 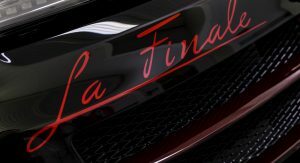 Unusually for a Veyron, the name of the car appears twice on the outer shell: the “La Finale” lettering in bright Italian Red can be seen under the right front headlight and on the underside of the rear wing. 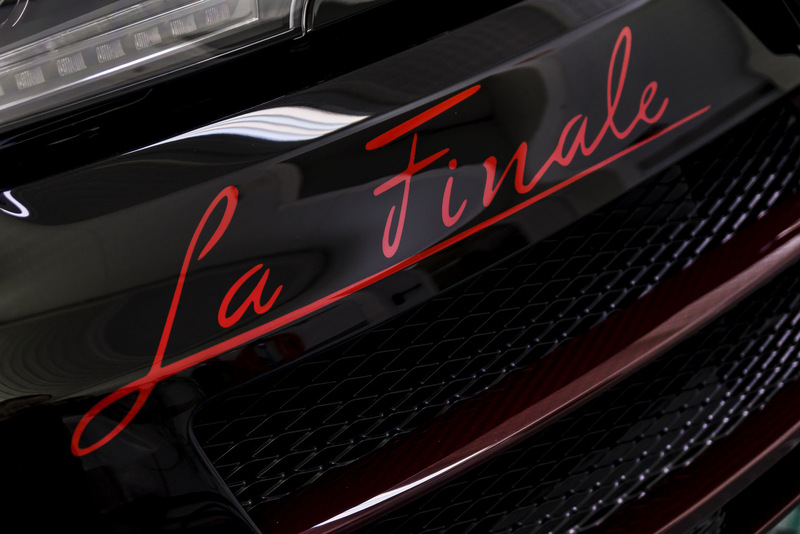 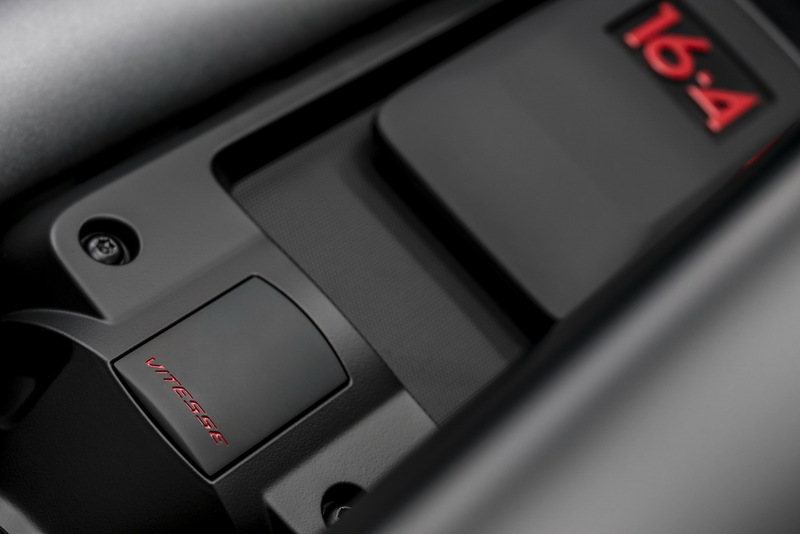 Other details particular to this car are the air scoops and intercooler cover, which have been painted black for the first time, while the EB logo and the relief “16.4” have also been emblazoned on it in Italian Red. 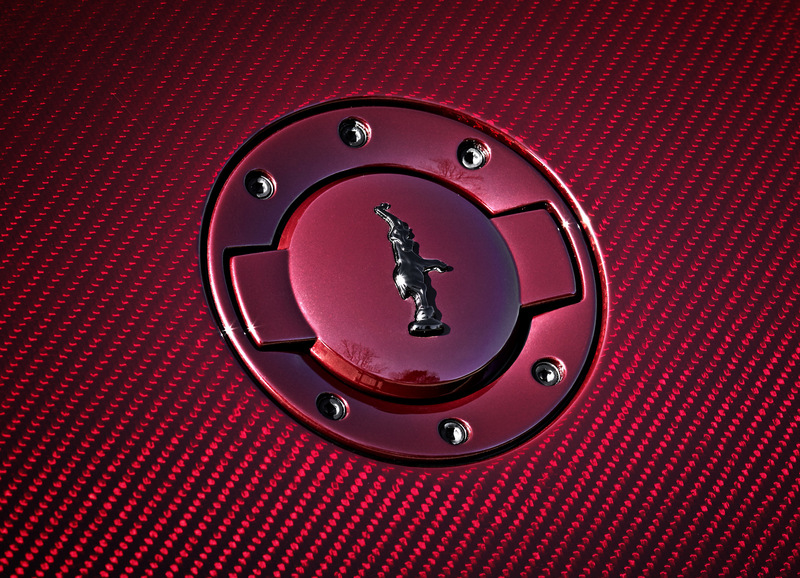 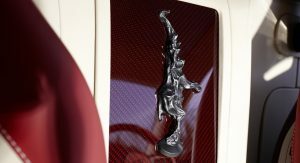 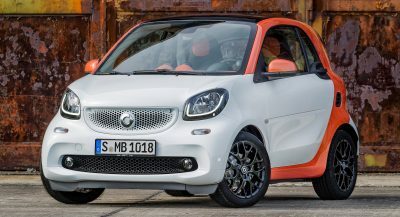 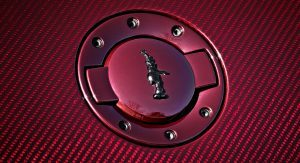 The wheels carry on the red and black color scheme, and the hubcaps are milled from a single block of aluminum and feature a relief of the famous Bugatti elephant. 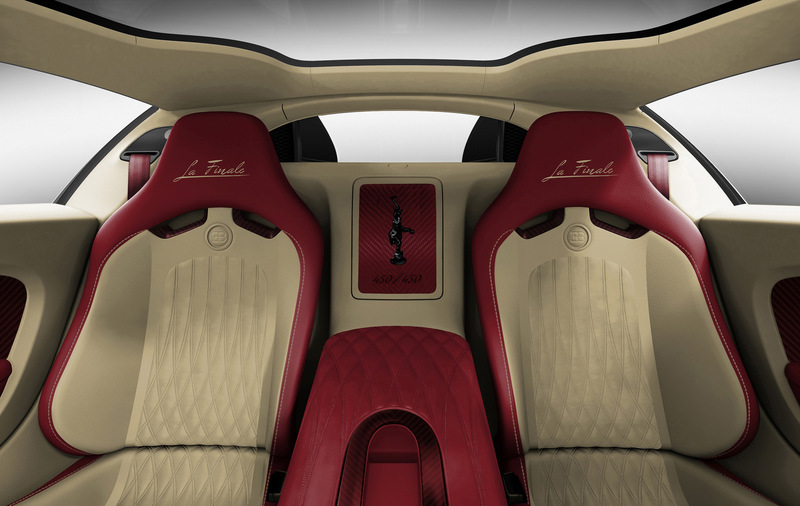 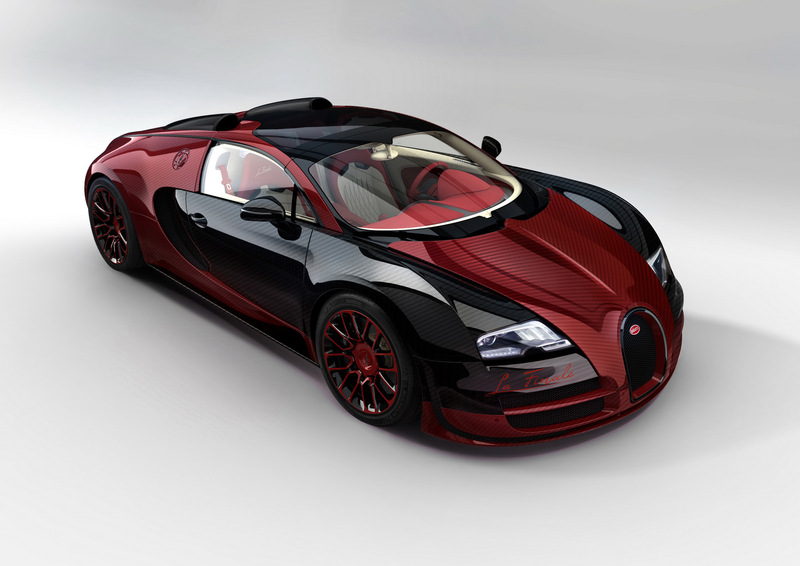 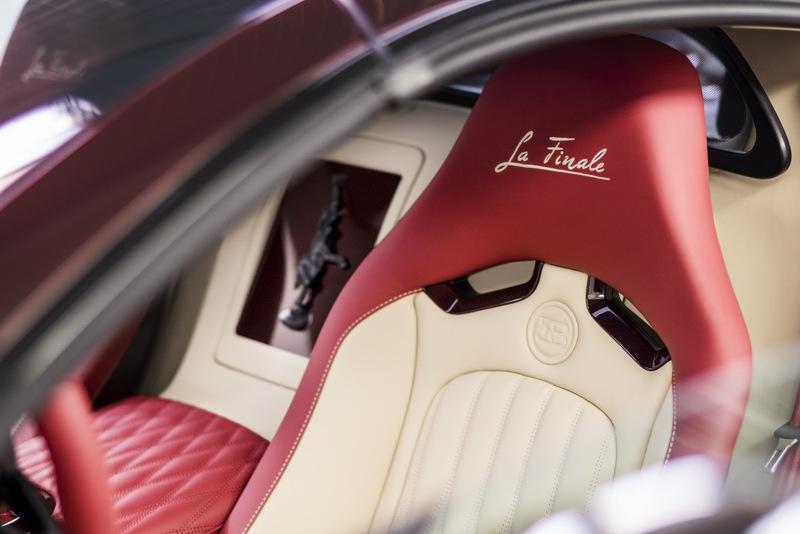 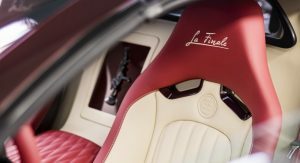 The interior also pays tribute to the first Veyron, with the cabin being upholstered entirely in leather in a light beige color known as “Silk,” with a series of elements in a contrasting striking red tone known as “Hot Spur.” The cabin also features red exposed carbon fiber accents, while the red head restraints are adorned with “La Finale” lettering embroidered in “Silk” colour. 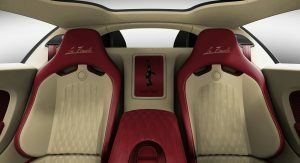 But the main attraction of the interior is the Bugatti elephant on the stowage compartment cover located in the rear panel between the seats. 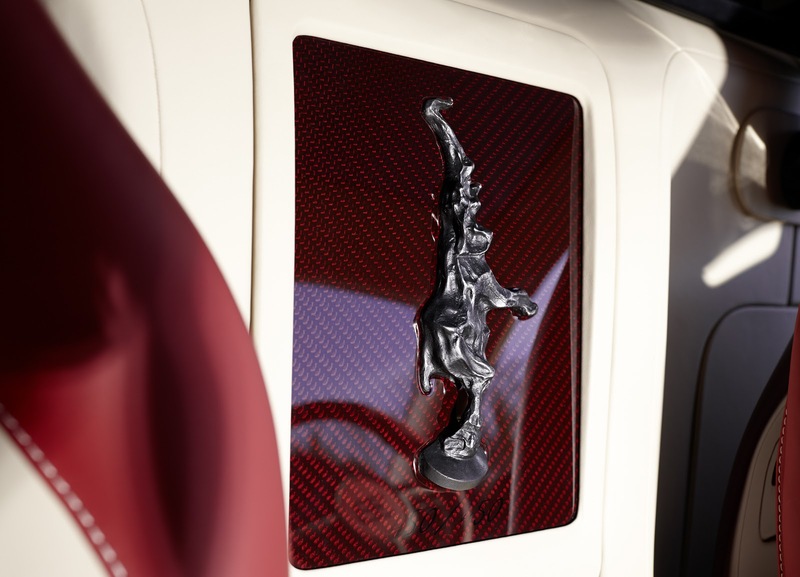 Cast in bronze, the elephant was given a black patina and then worked into the cover as an insert. 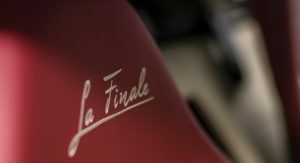 The lettering “450/450” has been painted in black under the bronze cast. 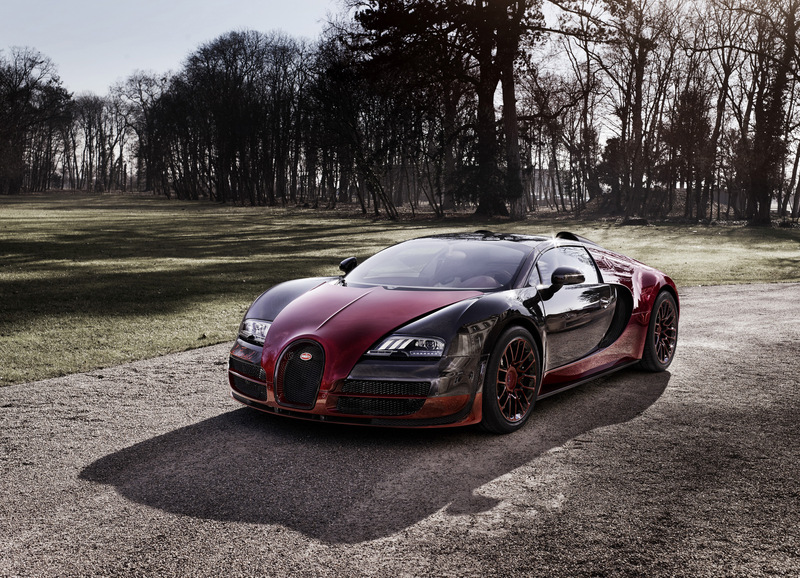 As you would expect, the car has already been sold to a car collector from the Middle East.